More than 50,000 anti-austerity protesters in London marched outside the BBC and Parliament Square but the BBC did not cover them. Austerity means keeping all the money among people who have loads of it. This is the biggest problem we face today--all other problems radiate from this toxic swindle. We can organise a fairer, more just society than they can. These demonstrations are the start. Brand said the group will hold the biggest protest in British history later this year, "Soon we will reach a size and influence where neither the BBC nor this austerity Government will be able to ignore us." A church centre in Norwich that helps homeless people, stranded strangers and elderly people is to shut after landlords rejected a rescue plan. The All Saints Centre needs £100,000 a year to keep going but has hit money difficulties because of the recession. A plan by Bishop of Norwich Graham James to assume the lease, which could have brought a rent cut, was rejected by Norwich Historic Churches' Trust. A spokeswoman said the trust had to protect income to maintain churches. 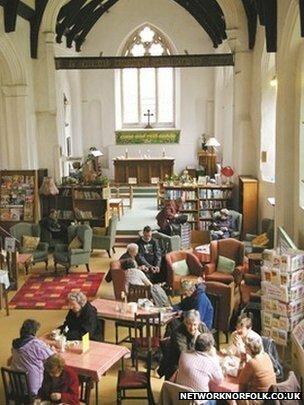 Felicity Hartley, vice president of the Norwich Historic Churches Trust (NHCT), said: "To put it bluntly, we have to look after our own interests. "We have so many churches to look after we need to maximise our income." The Bishop of Norwich is patron of the centre and was willing, as head of the diocese, to explore taking on the lease to enable the centre to continue. The diocese said NHCT did not wish to relinquish the lease. "It is very regrettable such excellent work has been brought to an end," a statement said. The centre, in Westlegate, was losing £500 a week and trustees needed £22,000 to repair a damaged floor and redecorate. Treasurer Michael Hope said the centre would shut on 30 June unless a sponsor offered £30,000 a year to keep it open. Mr Hope said its unique character would now be lost. Mr Hope said: "Our vision was to mix people with learning difficulties, the homeless, the lonely elderly and strangers just arriving in the city with shoppers and business people coming in for a coffee, a chat or a meal." This had worked well during the centre's 35-year history with three-quarters of the centre's income coming from a cafe and shop. In the past year takings had fallen and Mr Hope blamed the recession. Now taking bookings for places at this brilliant programme of Creative Connections arts and music workshops starting 24th July in Norwich. These are inclusive sessions and will be taking place at OPEN Live Music and The Norwich Music Hub. Creative Connections is a programme supported by The Big Lottery and EDP Local Papers Fund in partnership with OPEN and the Norwich Music Hub and consists of over 30 inclusive creative workshops in Norwich that are free of charge and open to any young person between the age of 13 and 25.
over 30 inclusive creative workshops in Norwich that are free of charge and open to any young person between the age of 13 and 25. The Creative Connections programme is intended to link creativity, ideas and expression with community, whether using archive footage in animation, writing songs to challenge issues with your community or interviewing members of society for documentary making – so that we can have a deeper understanding of what community is. The workshops are free to attend, are held at some of the best venues in town and led by the counties best workshop facilitators. Creative Connections is an inclusive programme and so we welcome all young people, 13 – 25 to apply. We may be able to provide 1:1 support if required (provided by our long term care agency partner, Allied Healthcare) but we also welcome parents and carers to stay and join in (please complete relevant parts of application form). Please find the full schedule below, and below that a detailed summary of what to expect from the workshop plus a bit more about our key workshop staff and venues (including parking, travel and access details). There are two of the same workshops per day; you are welcome to attend both workshops in which case you will be invited to develop or continue with the work created in the first session. In the 30 minutes between sessions we will provide a space for you to relax where a member of staff will remain on site. TO APPLY please download an application form here and return to oliver.payne_mk@yahoo.co.uk or post to Creative Connections, Musical Keys, Martineau Memorial Hall, 21 Colegate, Norwich, NR3 1BN. If you would like an application posted to you, please call 01603 766690 to request one. Echoes in the Well - a unique acoustic four-some of wooden objects, strings, wit, and irony, they were finalists in Next Big Thing 2013 and have been developing a new mode of interactive performance, which Stacked Promotions has coined ‘passive audience participation’, involving the creation of inclusive environments in which their fans can integrate and become a part of their performances. Milly Hirst - "a prominent figure in the thriving and Norwich folk scene, Milly Hirst's music has enchanted wherever she has plied her trade. Her voice alone has regularly proven capable of transforming “drunken chatter” into “rapt attention”. An inheritor of a musical tradition that includes Joan Baez, Joni Mitchell and, more latterly, the likes of Alelia Diane and Dawn Landes, Milly’s pastoral songs of love, vulnerability, femininity and longing betray a soul and maturity far beyond her years." Jacob Solstice - best known locally as principal composer and leader of jazz/klezmer/other costumed misfits Discharge Lounge, Jacob will be playing a rare solo set consisting of solo jazz guitar with folk, gypsy and classical influences and a mix of covers and original material. 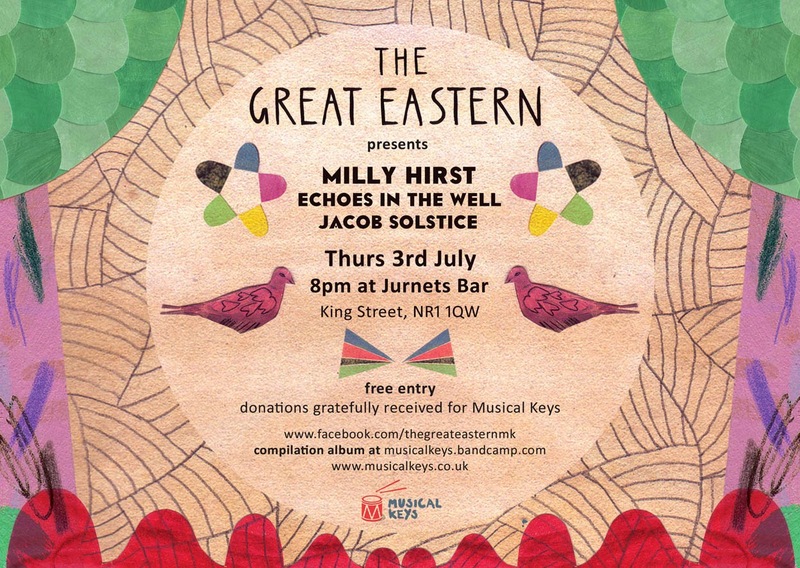 There will be CDs of the Great Eastern (Featuring Echoes in the Well and Milly) available and the whole shindig will take place in the beautiful medieval undercroft of Jurnets Bar. Three coaches of supporters from Norfolk joined The People's Assembly demonstration in London last Saturday. They augmented a diverse and peaceful crowd of protesters that was estimated to be 50,000 strong. Strangely this well-supported protest against cuts to the NHS and welfare benefits was ignored by much of the media, with the notable exception of SKY, I.T.N., and the Guardian (in an article entitled "Tens of thousands march in London against coalition's austerity measures"). Ann Nicholls from Norwich, of Look, See, Click Photography, was kind and generous enough to share her photographs of the day with this blog. Just been passed a fascinating photograph (wrote Simon Cressy). Here we find UKIP leader Nigel Farage shaking hands with the one time East Anglian EDL regional organiser Ivan Humble. The photograph above was taken outside Norwich Railway Station in July last year. Ivan Humble was not so keen to be photographed with the rag-tag bunch of East Anglian EDL supporters about to board the coach to the notorious EDL rally in Birmingham. (Last month) pupils from Eastgate Primary School and St Edmund’s School were asked to Show Racism the Red Card at a workshop at the Discovery Centre in King's Lynn. The interactive event, which was organised by Norfolk Police, looked at challenging prejudice and raising awareness of diversity issues. The event was run by group facilitators and ex-professional footballers Osei Sankofa and Steven Kabba from Show Racism the Red Card; a UK based anti-racism educational charity. The event was designed to bring together children from different communities in a safe environment and encourage them to work together, to develop their tolerance and understanding. There were practical educational workshops followed by followed by a football fitness session and question and answers. This is the first of a number of sessions planned as part of the Say No to Hate Bullying project which is being run across in 14 local primary schools in West Norfolk. The project involves children being given the opportunity to become Diversity Rangers for their schools by being kind considerate and looking out for each other. The idea of this session and the Say No to Hate Bullying project is to encourage all children to be kind and considerate to those around them. We are encouraging the pupils to ask questions about things they may not understand and showing them why it is so important to challenge prejudice. Show Racism the Red Card is the UK’s anti-racism educational charity, established in January 1996. The organisation utilises the high-profile status of football and football players to help tackle racism in society. Show Racism the Red Card are delighted to be working in partnership with Norfolk Police, delivering anti-racism workshops to young people in King’s Lynn and surrounding areas. People very often have a distorted view on topics such as race, religion, culture and immigration, which is understandable when the media feature regular stories which can create stereotypes and myths. The event was supported by Borough Council of King’s Lynn and West Norfolk, the Discovery Centre and the Youth Advisory Board. Show Racism The Red Card event at North Lynn Discovery Centre. Youngsters from two Lynn schools have taken part in an anti-racism campaign led by a former professional footballer. Pupils from the Eastgate and St Edmunds primary schools took part in the Show Racism the Red Card workshop, which was organised in association with Norfolk Police and held at the North Lynn Discovery Centre on Tuesday. The session was led by Steve Kabba, pictured above front, second right, who played for clubs including Crystal Palace, Sheffield United, Watford, Grimsby Town and Barnet during a 14-year professional career, and Osei Sankofa, front, second left, who currently plays for Conference South side Ebbsfleet United. PC Natalie Garrard, front left, who helped to organise the session for the police, thanked the centre and the charity for staging the event. It was clear to see that everyone who attended got a lot of out the day. Also pictured are Eastgate pupil Benjamin Simpkins, St Edmuund’s pupil Voktoras Versinskas, and youth advistory board member Bob Casey, right. POLICE are in talks with far-right activists over plans for hundreds of marchers to take to the streets of Teesside at the end of the month. Members of the English Defence League (EDL) from as far afield as London and Scotland are planning to gather in Middlesbrough on June 28. About 250 EDL supporters have already confirmed they are attending on Facebook, with organisers saying full details of the demo will be released "at a later date". It is understood they may try to march through some of Middlesbrough's ethnic minority areas, finishing at the war memorial. Counter demonstrations are also being planned by groups opposed to the EDL. This evening (Tuesday) Cleveland Police said an EDL representative had contacted the force, but stressed no firm plans had been put in place. Groups have a lawful right to gather or protest in a peaceful manner and Cleveland Police will plan for and try to facilitate such events. We are aware that other groups have expressed their intention to gather and express their own views that day however, as yet, no representatives have come forward to give police a clear indication of their intentions for that day. Finally we are in contact with a number of community groups from across Middlesbrough to reassure them of our commitment to the day passing off peacefully, without incident, and with minimal disruption to residents of and visitors to Middlesbrough. I would stress that anyone coming to Cleveland with the intention of taking part in anti-social or criminal behaviour will be dealt with robustly. Let us show those who want to divide us by race and colour that we will have none of it. Ours will not be an angry mob like theirs, but a celebration together of what is good about Teesside folk, standing together against the racism. We need to get out in numbers, sing, dance, march, ignore them and unify ourselves together. We are all colours and creeds together, just Boro folk trying to get along and make a life together. Middlesbrough is a town that was built by incomers, the Irish who built the docks, the Scots who came to work at the steelworks, the West Indians and Asians who came to work in our health service. On the 70th anniversary of the D Day Landings we were reminded of the price that we pay when we allow people to try to set us apart from each other by race and religion. Never again. He said the details of the solidarity parade were being finalised and could be found on Facebook at BoroNo2EDL. Norfolk Constabulary is able to give an estimate of the cost of policing two demonstrations which took place in Norwich (November 2012). I would support a change in the law to make parties contribute towards election expenses if a by-election is called due to the unsuitability of a candidate. 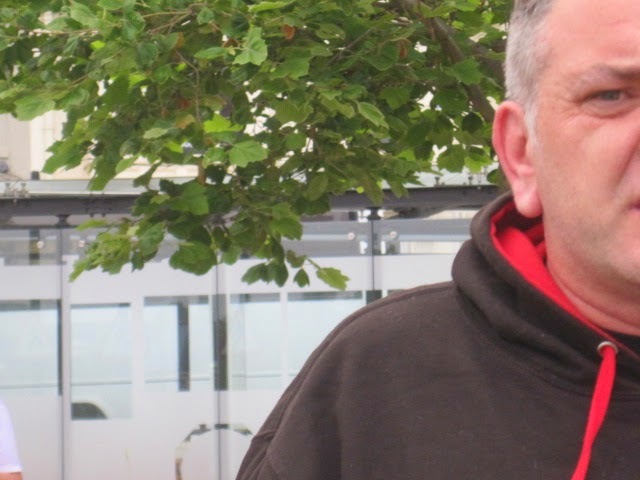 Labour Euro MP for the East of England Richard Howitt used his acceptance speech (in last month's) European Election count to claim "Farage is a mirage." 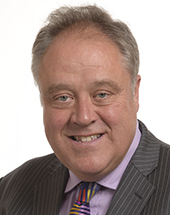 Richard Howitt MEP who remains the only Labour representative in the European Parliament across the whole of the East of England pledged his party would listen to the concerns of voters who had elected three UKIP Members of the European Parliament in the region. The Labour Euro MP praised the big increase in Labour's vote and said Labour remained well-placed for next year's General Election. Our local result saw a 50 per cent increase in Labour's vote, in a result nationally in which there has been a big increase in the number of Labour MEPs and where Labour has beaten the Conservatives in a European Election for the first time in twenty years. I fully accept Labour has to do more to convince disenchanted voters. But we can acknowledge the concerns of those who voted UKIP, which we do, without adopting UKIP's answers - which we won't. Fringe right-wing parties like UKIP have also seen good results tonight in France, Denmark and across Europe. This is a protest vote but one that doesn't change the fact that at the General Election next year, Labour is the alternative party of government, and remains best-placed to win. When I hear their statements about our country, I think of the great British tradition of tolerance and diversity. I want to tell you – I want our country back too. My message is 'Farage is a mirage'. Richard is an active Euro MP across the East of England, visiting people, community groups, businesses and European projects in Bedfordshire, Cambridgeshire, Essex, Hertfordshire, Luton, Norfolk, Peterborough, Southend-on-Sea, Suffolk and Thurrock. To see what Richard has been up to in the region and in your area visit this page. The wellbeing of our staff is of critical importance to how well we perform as a Trust. At NSFT we are committed to create an inclusive environment where staff feel safe, respected and look forward to coming to work. Therefore we pledge to promote equality of opportunity and tackle any form of discrimination through Challenging the issue, Educating people and Supporting all our staff. We understand how upsetting and humiliating it can be for people to be treated unfairly and we are determined to improve on our practises and procedures to ensure all colleagues are treated equally and given the same opportunities. We are determined to tackle the issue of racism by challenging inappropriate behaviours, educating people, and supporting each other. We pledge to end Racism in Norfolk by building a strong community-led Hate Free Norfolk Network, which will promote awareness, develop better working between agencies and support victims of racist hate crime. Worlds Literature Festival is next week and it's not too late to get involved. If you didn't already know, the festival brings the best writing talent from across the globe to Norwich, City of Literature, for a week of private salons and public events. You can get involved by following the conversations and provocations on Twitter and via podcasts, and of course you can enjoy some big events withJM Coetzee and John Carey at the Norwich Playhouse, and more intimate readings with our Worlds writers at the Norwich Cathedral Hostry. The first is the Norwich Playhouse. John Carey will be talking to DJ Taylor about his latest book The Unexpected Professor, as well as relaying stories about some of the greatest writers of the 20th century. 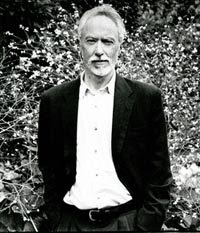 And then there's the return of JM Coetzee, who will be reading alongside some serious international talent in Xiaolu Guo (A Concise Chinese-English Dictionary for Lovers), Julia Franck (The Blind Side of the Heart) and Ivan Vladislavic (Double Negative). Our second & third venues - The Norwich Cathedral Hostry and King's Centre - will help us celebrate great writing by bringing together the Worlds writers for a series of readings. These are a great way of discovering work you might not ordinarily come across. For just £2 per event, these are a real steal. Tuesday 17th June: Louise Doughty, C.J. Driver,Lian Yang, Akhil Sharma, SB Veda and Kerry Young. Hosted by Chris Gribble, WCN Chief Executive. Wednesday 18th June: NoViolet Bulawayo, Dan Burt, Adam Foulds, Hanne Ørstavik and Denise Riley. Hosted by Andrew Cowen, UEA Director of Creative Writing. Thursday 19th June: Bernice Chauly, Kendel Hippolyte, Oonya Kempadoo, David Morley, Togara Muzanenhamo and Sharlene Teo. Hosted by Jonathan Morley, WCN Programme Director. Friday 20th June: Kathryn Heyman, Masatsugu Ono, James Scudamore, Owen Sheers and Wojciech Tochman. Hosted by Katy Carr, WCN Communications Director. If you can't make it to any of our events, or you want to get a taste of the conversation during the private Salons, make sure to follow@WritersCentre on Twitter and use the #Worlds14 hashtag. We're also aiming to podcast the provocations throughout the week and post in-depth blogs a little later on. And do keep an eye on our YouTube and Flickr pages for videos and photos. 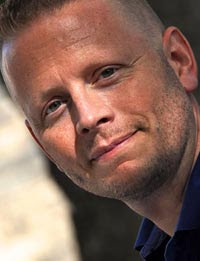 Patrick Ness is coming to the Norwich Playhouse this June (24th) thanks to a collaboration between WCN and Fly Festival. He'll be talking to Daniel Hahn about the role books played in his adolescence, his belief that teenagers are totally undervalued these days, and his drive as a writer. Enjoy a good rousing debate? 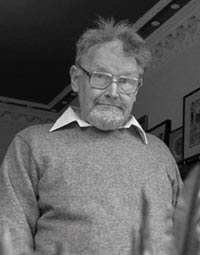 Scottish writer and artist Alasdair Gray, author of the excellentLanark, is coming to Norwich to discuss Scottish independence and the arts. He'll be reading from Independence, written in support of home rule for Scotland, and will be joined by esteemed panelists. Looking for an amazing read? We have eight of them! Summer Reads is full steam ahead and we're already getting great feedback from readers nationwide. Go and peruse our selection over at www.summerreads.org.uk. The books get even better when you consider everything else on offer, from author/translator events with Evie Wyld and William Letford, to Confident Reader Workshops and those ever popular book quizzes! Get the full schedule on the Summer Reads event page. Huge congratulations go to our shortlisted writers. Just over 70 of you will be taking part in Masterclasses in Bristol, Manchester, Norwich and London led by writers such as Ross Raisin and Emma Jane Unsworth. In August we will select ten winners who will receive six months of mentoring from writers Daniel Hahn, Kerry Hudson, Alex Preston and Nicola Upson, be given vital industry advice, attend a bespoke writing retreat and be introduced to agents and publishers. Good luck! Are you a writer living in East Anglia, or is your writing set in the region? Or are you a publisher with a talented East Anglian author on your books, or a text based in the area? WCN has once again teamed up with the Eastern Daily Press and Jarrold, with the support of the UEA, to present these awards, where a winning book will receive the £1000 top prize! Find out more. TLC's third annual Conference for writers takes place this weekend across three days featuring talks and panels by 30+ industry specialists, plus a bonus day with workshops, a Writers' Fair, and live agent pitching. Get 25% off Conference Passes available using the code Partner25 and a limited number of Sunday-only tickets (£45) using the code TLCBonusDay. For more information and tickets, please visit the Conference website. The Aesthetica Creative Writing Award, an annual celebration of outstanding international poetry and short fiction, is open for entries. London’s writer development agency Spread The Word have announced their inaugural London Short Story Festival. The festival will include talks, workshops and master classes, Q&A’s and readings from some of the world’s finest short story authors. Nick O’Brien, from anti-racist group We Are Norwich, reports on Norfolk, where Labour and the Greens held on in Norwich, but in the surrounding area UKIP made gains. It’s been a fantastic night for us. We have beaten the mighty Conservative party in one of its heartland areas of the country. Patrick O’Flynn was of course Political Editor for the Daily Express before starting work for this so-called anti-establishment party! With the BNP vote dropping from 97,000 in 2009 to 12,500 this year and the strong probability of some Tory voters putting their cross in the UKIP box, it is clear that plenty of votes came from the right. However, it is also highly likely that red votes went purple as well, especially if the local elections are anything to go by, in which the Labour vote went to UKIP in places like Essex, Harlow and Great Yarmouth. Whilst it’s true that the Labour vote in the East looked much improved with a 50% increase, the reality is that this followed an appalling result in the last European elections. The increase came from a very low base. But Norwich itself stood firm. In the local elections, Labour kept control of Norwich City Council after an election count which finally ended up with the status quo. Fourteen seats were up for grabs, but not one of them changed political hue. Labour held eight seats, the Greens five and the Liberal Democrats kept one. Norfolk may be historically blue, but Norwich continues to buck the trend. The situation was different outside of the city however, most notably in Great Yarmouth where Farage’s party started the day with no seats on the council but ended the day with ten of the thirteen wards available. This strong showing tipped the balance of power at the previously Labour controlled 39-seat borough council to fifteen Labour, fourteen Conservative and ten UKIP. Great Yarmouth must be a focus for anti-racists in the lead up to the General Election in 2015. The ‘We Are Norwich’ demonstration against the EDL in 2012 brought 2,000 on the streets to oppose racism and fascism. So what is to be done? The good news is that anti-racists in Norwich have been organised for some time. We are Norwich was formed when the English Defence League announced its intention to march in Norwich in the summer of 2012. In response, the local community decided to form a diverse and inclusive coalition of trade unions, trades councils, politicians, individuals, anti-racists, anti-fascists, community groups and faith groups. Over twenty five groups and hundreds of individuals pledged their support. When 80 EDL supporters did march in November 2012, WAN organised a peaceful counter-demonstration and over 2,000 came out to protect their city and celebrate diversity. We are Norwich has continued to be active in the city and the local area organising leafleting and cultural events, including a very well supported gig and poetry evening featuring poet Hollie McNish last November. 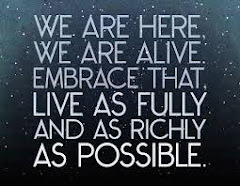 We are open to all and believe very much in unity in action. This has led to our coalition being featured in the excellent recent TUC publication Truth, Lies and Migrants. Following the elections we have immediately released a unity statement and asked a wide range of our original signatories to pledge to stand strongly against a drift to the right and instead send out positive messages about migrants. The whole Norwich Green Party group and both Labour candidates in the General Election immediately signed as well as local trade union branches and community groups. 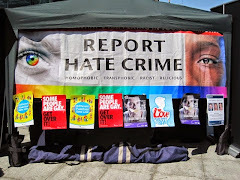 This is just a first step however and we will also work toarm activists with up to date leaflets that expose UKIP and their policies whilst continuing to be wary of the EDL and other far-right street movements like Britain First. Finally, it’s also vital that we work with others to provide political answers to the crisis for all those that turn to UKIP in anger and despair. Every anti-racist should be fully engaged in building for the People’s Assembly demonstration in London at the end of June. 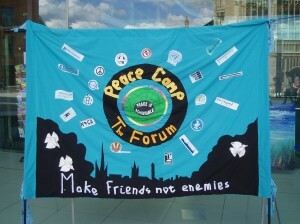 During Refugee Week hundreds of events take place across the UK. These range from small community and school activities to art exhibitions, political debates, film screenings, conferences and major music festivals. Come along and see what’s happening here in Norwich!